The Handicare straight stairlift Simplicity Plus provides customers all the essential functions that the customer would envision. 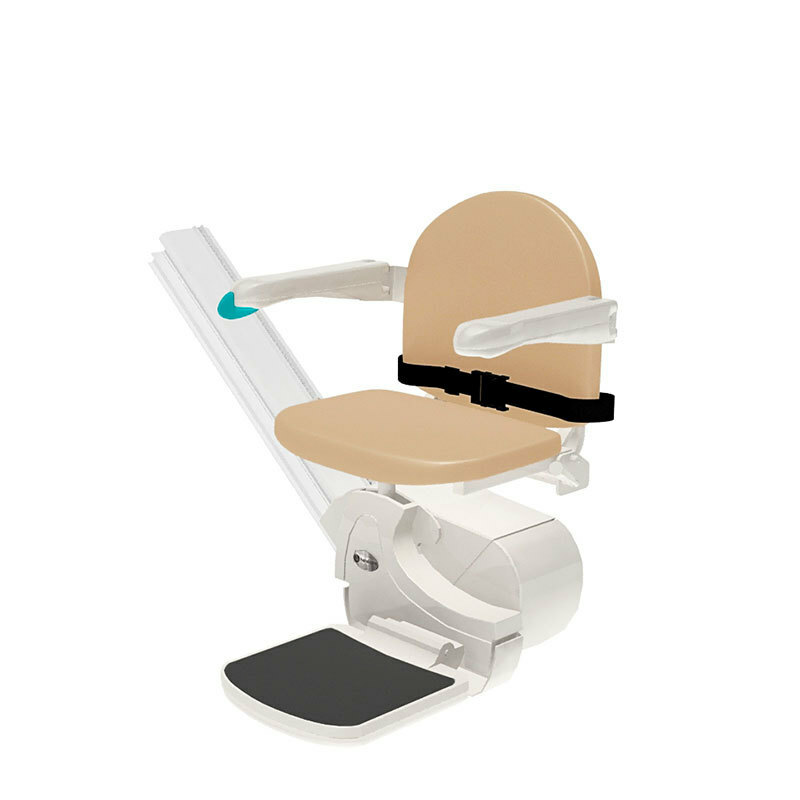 Handicare also has the option to upgrade to a folding footplate and/or a powered seat swivel. Customers have the option to pick any six of Handicare Simplicity Plus upholstery colors. The Handicare Simplicity Plus will compliment most color schemes. Since the rail is fitted to the stairs and not the wall, it is unlikely the customer will need to renovate following the installation of the customer’s Handicare Simplicity Plus stairlift. In the situation of a power outage there is no need to worry about being stranded up and downstairs because just like all Handicare Stairlifts the straight stairlift, Simplicity Plus model has a battery backup. Handicare straight stairlift is well suited with the Slide Track, powered and manual hinge systems so in case the customer has any objects by the stairs Simplicity Plus gives the customer a range of solutions to prevent the track from causing any obstacles. The Handicare straight stairlift, Simplicity Plus offers the option of manual or powered folding footplate and swivel options. The compact unit folds up leaving the staircase free for other users and the Handicare Simplicity Plus also comes with two remote controls which means, once folded, you can move it along the track freeing up space in your hallway. All stairlifts have safety sensors on the power pack and footplate: these are designed to stop the lift if it meets any obstacles. Once stopped it can only be moved in the opposite direction of the obstacle. They are also provide the customer with an easily accessible key switch that allows you to disable the lift and prevent unauthorized use, the customer does not have to worry about unsupervised children playing with the customer’s stairlift.